1.1. Standard IC card hardware-based cryptographic for prepayment, the power supply department receives the electric charge in advance by means of vending the power utilization card (IC card), and users should buy first for power utilization. 1.2. 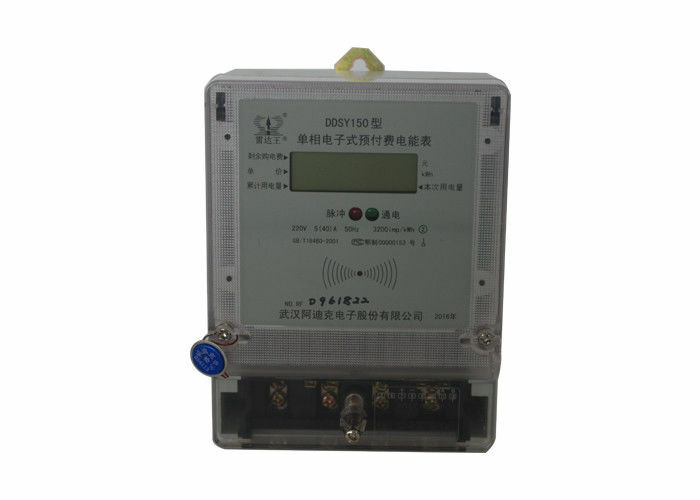 It integrates full-digital metering with using electricity power consuming display, prepayment control, reading card and intelligent anti-power stolen, ect., has high reliability. 1.3. Function of overload protection. When the load exceeds the preset maximum current for a continuous period, it would cut off the power supply circuit automatically, nixie tube would display warning symbol flickeringly, and the watt-hour meter would switch off automatically after a certain period of time delay. 1.4. The power utilization IC card is treated with software and hardware-based cryptographic, guaranteeing safety, correctness and reliability of data. Through special design, the IC card records the residual and cumulated electric quantity of meter as well as information about electricity-stolen if there is while user inserts the card. 1.5. Perfect card interface protection circuit, preventing hostile attack behaviors effectively. 1.6. Display of residual electric quantity, it displays in 6-digit (5 integral numbers, 1 decimal number). 1.7. When the residual electric quantity reaches the prep warning value, nixietube would display the residual electric quantity, reminding users to input new electricity purchasing quantity. 1.8. When the residual electric quantity in watt-hour meter remains zero, the watt-hour meter would trip automatically, and cut off the power supply, at this moment, users must bring the card and go to power vending department to purchase electricity (power supply department could set a certain quantity for overdrawing, insert the card, users could use a certain quantity of electricity), only when inserting the card with effective electric quantity into the meter that it could supply power normally. 1.9. The power would be cut off automatically when the owed electric quantity reaches a certain degree, input new electricity purchasing quantity (after deducting the over-consumed electricity), the power supply would be recovered automatically. 1.10. Application of magnetic latching relay not only improves reliability of power interruption operation, reduces power consumption after power off, but also conquers the shortcoming of relay of contacts adhesion when working for long time at heavy current. 1.11. When coming across power failure, it would store the data automatically, and resume data at power recovery. 1.12. Computer, special IC card read-write device and charging management software form the electricity vending management system. 1.13. Carry out comparative analysis to the recorded information, the management system is able to list out users suspected of electricity stealing action for concentrated investigation, reducing the working capacity of anti-electricity stolen and electricity stolen investigation. 1.14. If the watt-hour meter is reversed connected, it still is able to meter correctly. 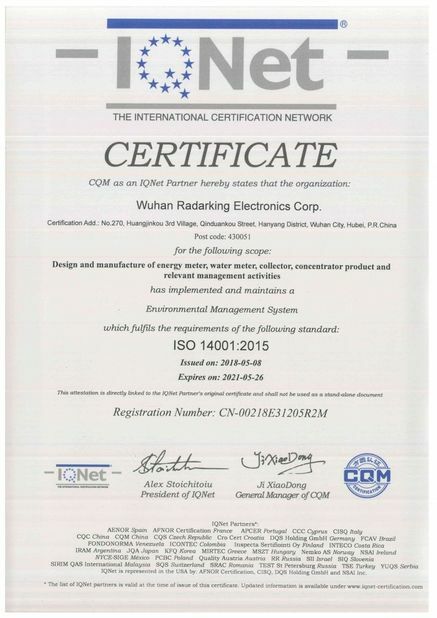 ①　Applicable standard: IEC 1036, GB/T18460-2001. DDSY150D electric meter is worked by contact type IC card.However, open IC card, which is easily affected with the environment, need to be protected and will creates extra expense and inconvenience. 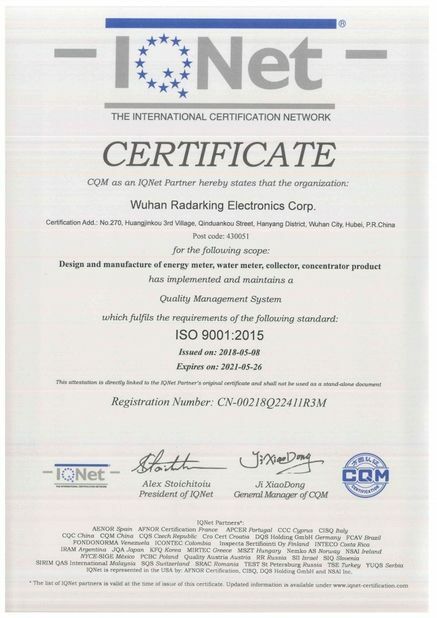 Therefore, Radarking designs a kind of prepaid electronic meter with contact-less RF technology, that is, the purchased credit is access into the meter through contact-less IC card, the unit price of kWh can be set in card, and the meter will deduct the credit based on each 0.01kWh, when the tariff is changed, the management system will reset the card to change the unit price of the meter,so that the meter can deduct the credit with the adjustment of the unit price to reduce the consumption of power company. Current: 1.5(6)A, 5(30)A, 10(60)A, 20(80)A, etc.